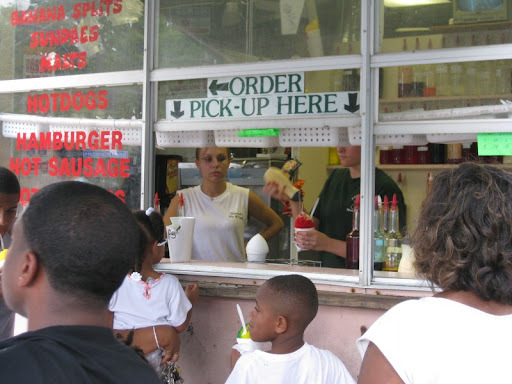 While taking a ride on the Canal Streetcar toward City Park, we saw a bunch of people standing around a snowball stand. We hopped off at the next stop and walked back. 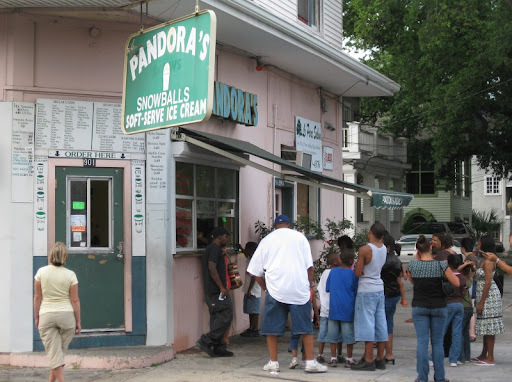 Snowballs are a big thing here - the shaved ice machine was invented in New Orleans at Hansen's Sno-Bliz. We didn't make it to the original, but Pandora's didn't disappoint. They have a ton of flavors, and people were ordering all sorts of things, from straightforward flavors to more exotic combos like "banana and bubblegum" and "wedding cake with an ice cream top". You could also get your snowball stuffed - with the addition of soft serve ice cream in the middle. Good stuff. 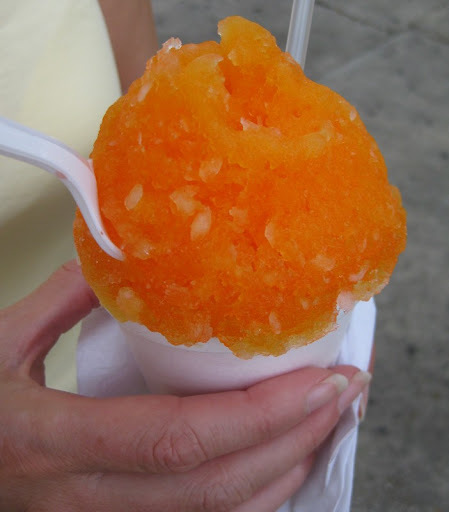 These aren't the "sno cones" I remember as a kid at the fair - those had grainy, chunky ice and quickly lost their flavor. This was a fine, soft ice with flavor that went all the way through. 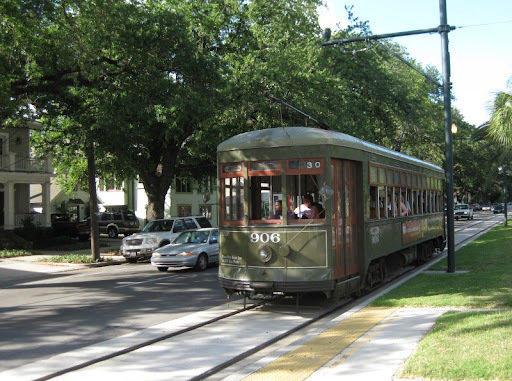 Happy, we hopped back on the Canal Streetcar and rolled back to our hotel. I'm from Munich (Germany) and I'm working for the bavarian radio. I just wanna ask any questions for my show this evening. Sorry, I don't have a phone number for them.